shop, and in the middle of all this green I saw 5 pretty bonsai, he was selling them for Ã‚Â£10, so I though it was a good opportunity to start my interest in the bonsai world. Now I have been looking a lot around internet, but I am not 100% sure about the specie. 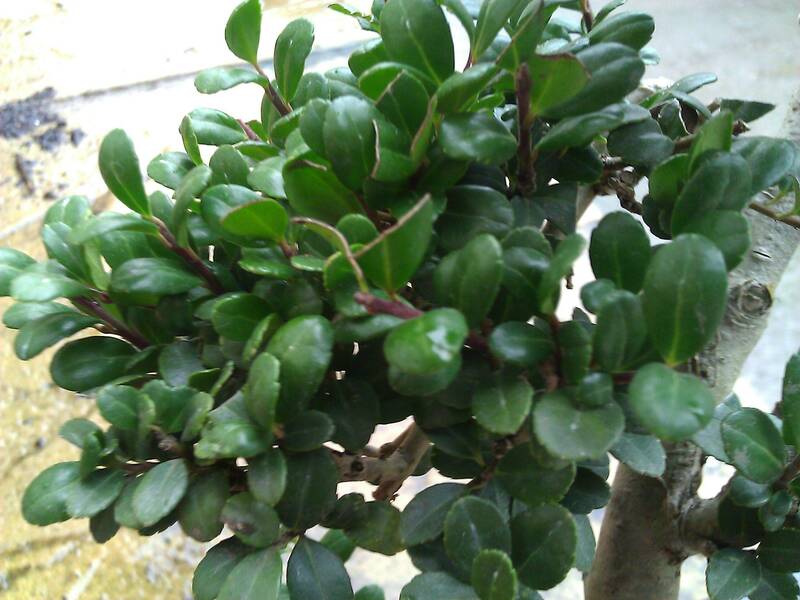 It could be a fukien tea tree or a Plum tree? Could be nice if I can have an expert advice. I really like his shape, I think the main shape is already done, but if you have any advice to give me, you are more than welcome. I guess I will shape my next bonsai by buying a young one, but I really couldn't resist to that one! 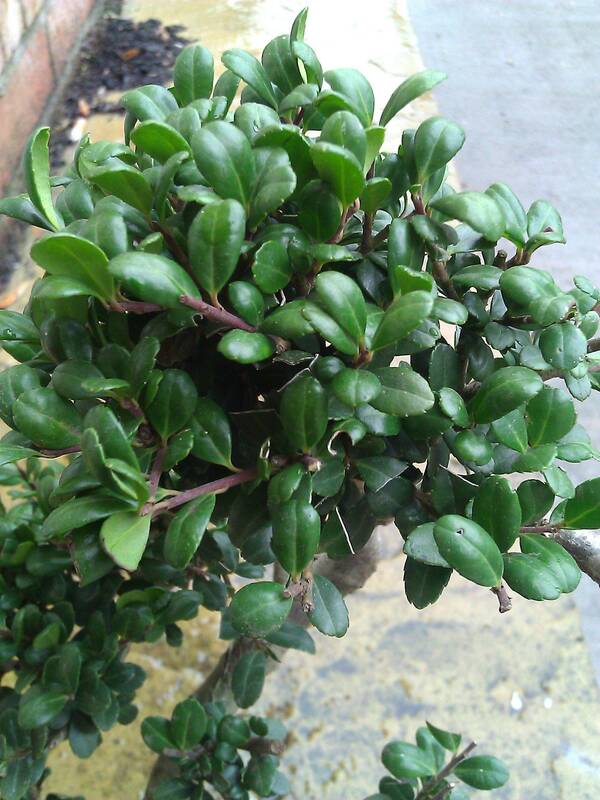 Since I am a bit rusty from a long leave, I may not be accurate, but I believe it to be a Fukien Tea. Don't jump on my evaluation, wait for another expert. I do enjoy your piece, wish I had something like that ! Only if they sold something like that for $10 here. The only things is on a fukien the leaf look longer, here they are really small and curved, dark green glossy... Maybe because he is already old. i've not seen FT and cherries that look like that, the leafs are too thick. Not sure what it is but the tree looks nice, hope you can keep it alive. linlaoboo wrote: i've not seen FT and cherries that look like that, the leafs are too thick. Not sure what it is but the tree looks nice, hope you can keep it alive. 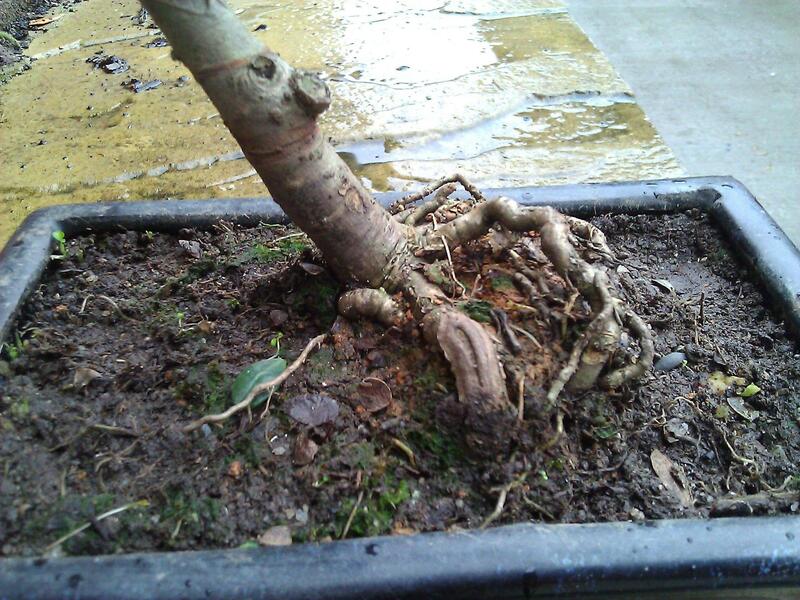 Yes this is why I find so hard to ID this bonsai! The leaves are thick and really curved, there is new shoots growing, maybe will be easier to ID him with fresh leaves. He seems to enjoy leaving on my desk... so I guess it is a tropical tree. If anyone has an idea. Advice on a Bonsai that will Do Well Indoors? 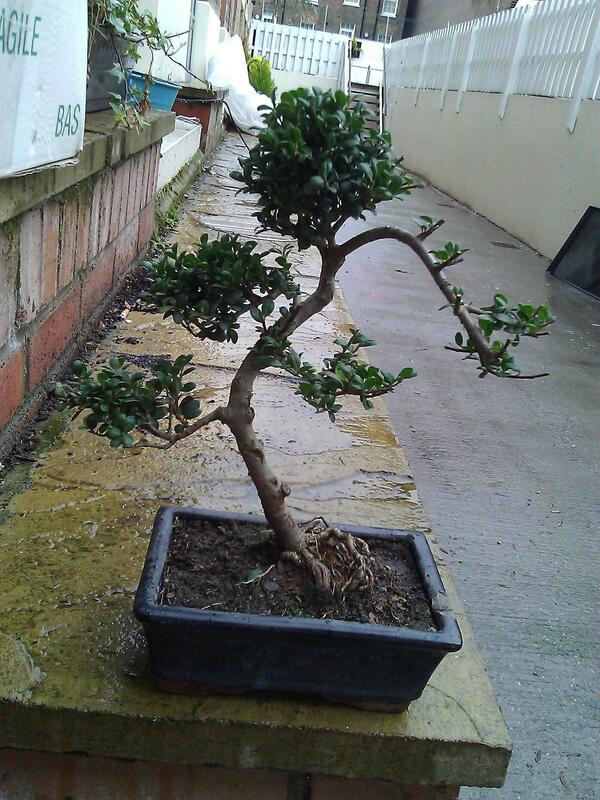 Beginner seeks advice for indoor bonsai.